Some of the best things in life are worth waiting for, you may not know it at the time, but in the end you will understand it’s beauty. 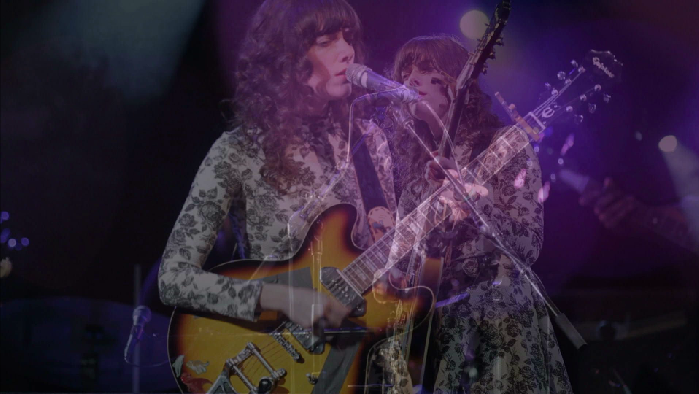 It could be perceived that it is a blessing that Natalie Prass’ album initially got shelved, because in the meantime, she joined Jenny Lewis‘ band for a series of tours, as she continued with her solo material. Her self-titled album was originally recorded in 2012 and finally got to reach people’s hearts and ears in January of 2015. A native of Richmond, VA, and drawing a lifestyle, and inspiration, from her relocated hometown, Memphis, TN, Prass embodies sheer beauty in her lyrics, and montage from the era of the 70s. Prass’ song “My Baby Don’t Understand Me,” can be felt as an emotional roller coaster through the heart of Prass. She simply does not tell her story, she expresses it with honest questions everyone in love has ever asked themselves. The construction is a flashback to the 70s love ballads, but not so much you get lost, but enough to feel the sound and inspiration. “Why Don’t You Believe in Me” picks up on emotion and raw thoughts, and starts with a soulful build up as Prass begins her story. Keys, winds, and horns, eventually add to the funk by the chorus and the smooth fluidity is amazing on this track, alongside Prass’ angelic voice. I cannot say enough to describe her tracks, and will let her music speak for herself. In the end, Prass, and anything she creates, is simply beautiful and it is about time the world gets to indulge in Natalie Prass.